Our Cottages only have one King bed per cottage..Ideal romantic getaway! Modern facilities with quiet country charm. Self contained kitchen, microwave, mini oven and hot plates, BBQ on balcony and fresh air and valley views surround you. Stars at night and sunny day.. Cosy gas log fire heater and spa in bedroom. Comfy king bed. The rest is up to you! Enjoy, relax and wind down let your stress slip away as you enjoy your stay in the magical Wandiligong Vally (Landscape Classified by the National Trust),,,it's just a little piece of Heaven waiting for you! YOU WILL BE RENEWED & READY TO FACE THE WORLD! Or sad you didn’t stay longer! A truly relaxing getaway. Magical Valley Views with all the comforts of home and more!! First impressions were “WOW” and continued throughout our stay. Between our wonderful accommodation and the incredible vista what else could you say. The whole area here and Bright is truly beautiful. We managed to have several long walks, Rail Trail, Cannon walk and the walk into Bright from Wandiligong track to Bright. Eateries such as the Brewery, River Deck Restaurant . Harrietville Hotel has been great along with the shopping, a girls dream! We also managed the Cinema which is a must while staying here. Our experience has been nothing but wonderful. Thanks Sue for the breakfast pack and the extra that make staying here such a pleasure. 22.10.15 “ “ awoke to Kangaroos, Rabbits, Foxes, Birds and amazing scenic views! 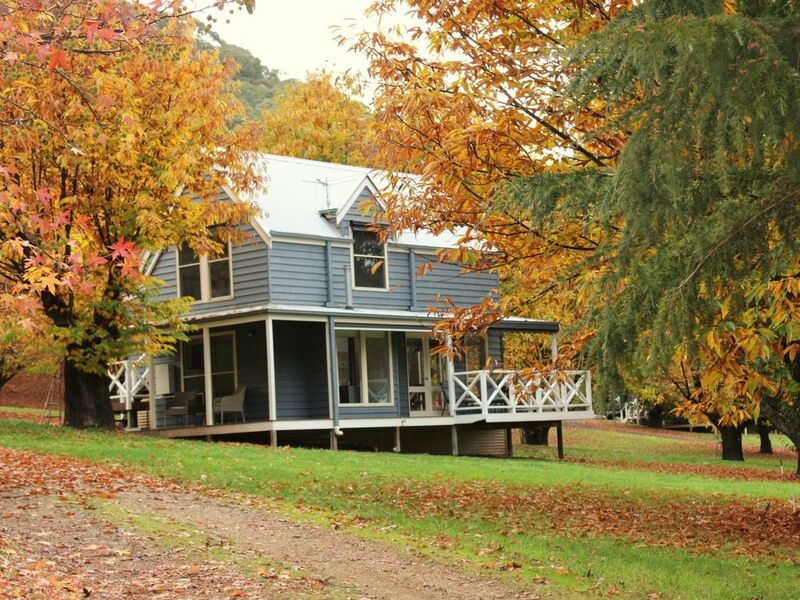 High Country of North East Victoria, Bright is alive with fine restaurants, cafes amd bakeries. Wineries are poping up all through the valleys. Boyton's , Michelini's, Gapsted, Annapurna, and Ceccanit are waiting for you! Trout and Deer Fishing, Berry farms, Museum and Art Galleries. Paragliding, Microlighting, Abseiling, Rail trail and for those who like a slower passe many walks along the Rivers, Creeks or High Country trails. Snow fields of Mt Buffalo, Falls Creek & Mt Hotham near by. We have it all at your finger tips in Beautiful Bright Heart of the Alpine High Country! Spent two nights here, could easily have spent a week. really peaceful and quiet setting with great views across to the mountains. the cottage is really well appointed, modern and fresh and great for a couples weekend away. would definitely come back to stay again. Sue made some lovely touches with chocolates and port in the loungeroom, and lots of great supplies for breakfast. 10/10 would recommend! We had a wonderful 5 nights at Abby’s Cottage, very comfortable with everything you need. Very relaxing time, totally enjoyed the comforts and treats Sue provided in this cottage, will definitely return for a visit again. Perfect luxury cottage for a honey moon. Couldn't have asked for more. Thoroughly enjoyed staying at Johanna.Great view and great house.Loved the fireplace on the balcony.Would love to stay there again. Excellent accommodation and surrounds. Blissfully quiet. Fabulous wildlife, including birds and their beautiful calls in the morning. Self-contained with kitchen facilities made it easy to cook in. Lovely deck for lounging on and watching the valley and animals. A really special place!